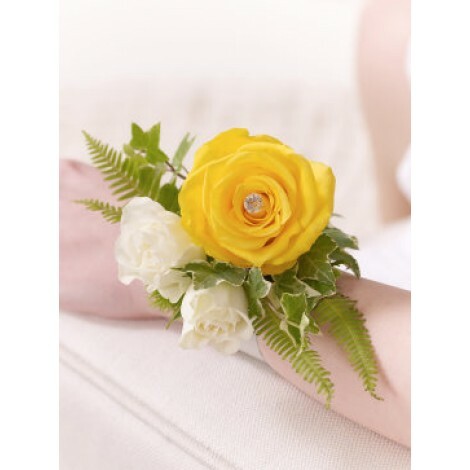 This stunning yellow rose and fern wrist corsage is one of sheer elegance and grace. 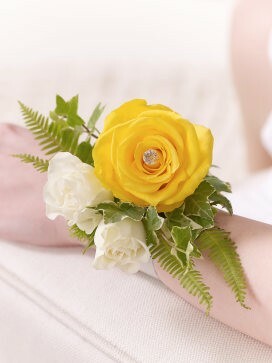 We've taken a single yellow rose and accented with adorable cream spray roses and delicate fern to create this breathtaking floral wrist accessory. 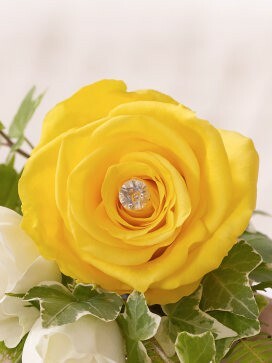 To add additional intrigue and splendor we've accented the heart of the yellow rose with a sparkling diamante pin. This adorable accessory features; a yellow rose and cream spray rose heads with variegated ivy and fern set onto a white wrap wristlet and finished with a diamante pin.